Overwhelmingly, McGuffey parents prefer we open whenever possible and our teachers prefer we have as much time as possible for our curriculum. Therefore we deviate from Talawanda’s closing schedule when we felt confident the roads are safe. This means Talawanda closing or on a delay does not automatically mean McGuffey will be closed. As always, you have the option of keeping your child home should you feel it is necessary. Talawanda has to make their decisions based on conditions very early in the morning for the entire district, even if the roads are improved by the time the elementary schedule begins. Their decisions must also take into account students waiting outside for buses in wind chill temperatures. McGuffey’s Head of School is in communication with Talawanda’s transportation office for road condition information in addition to consulting multiple weather websites before making decisions in the wee hours of the morning. We encourage families to consider sharing or swapping childcare on days with delays or closings when jobs or other commitments make these days or mornings tricky to cover. Note for bus riders: If Talawanda is on a different schedule, students who normally ride the bus will need transportation to/from school. We communicate about closings and delays by 1) email, 2) group texting, and 3) our website. We currently exceed the state’s required number of instructional hours by the equivalent of almost 23 days. That said, the board approved the following plan that requires us to make up school days beginning after five calamity days. Talawanda makes up school days only if they exceed ten calamity days. McGuffey classrooms will be providing light “blizzard bags” for every child if we are closed for Days 4 and 5. The activities will be oriented towards practice, practical life, and enrichment with the goal of providing a bit of structure and fun. No blizzard bags will be provided for days 6 and beyond since these days will be made up in actual school days. Note that blizzard bags are required assignments for grades 1-8. These assignments will be due one week from the calamity day to allow for parent support and internet access. Ideally, they would be completed during the snow day but we understand that circumstances might not make that possible. In coordination with Talawanda, delays will be 2-hours. A 2-hour delay will mean that drop-off is from 10:45-11:00am with the school day officially beginning at 11:00am. We will remind you of these times whenever there is a delay. If we have a delay on a Wednesday, the early release will be canceled and dismissal will be at 3:30pm. Unless explicitly communicated, students in Grades 7/8 will be expected to arrive, as usual, 45 minutes prior to the regular start of school. On a 2-hour delay math class would begin promptly at 10:15am while other students would be expected to arrive between 10:45-11:00am. On 2-hour delay days, we will offer Early Care whenever possible. It will depend on road conditions and staff availability. Our communications will include whether Early Care is available. If Early Care is available on a delayed start day, Early Care will start two hours later at 9:30am. Drop-ins on those days will be limited to space available. As for all Extended Care scheduling, please email office@mcguffeymontessori.com. Extended Day will be held unless we have to close school early for weather. If weather conditions or complications caused by weather conditions make it necessary for your child to be picked up early, please call the office to warn us and we will try to have your child ready to leave when you arrive. In the unlikely event that our school experiences a calamity unique to us, we will notify parents by email and group text, depending on the time of day such information and decisions need to be shared. It is very important that you keep us informed during the year with up to date contact information. If we must leave the school grounds with your child, we will leave a note taped to the inside of the window on the front door telling you where your child has been taken. If you cannot get to the school, call Nancy Hawthorne (513-593-3055) or Jennie Wright (523-7742). 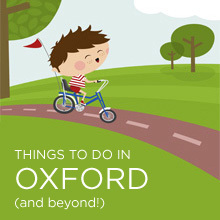 If you are unable to reach us, you may call the Oxford Police, as we will have advised them of the whereabouts of any child we take away from school. We encourage you to make plans ahead to share care with other families if you anticipate that delays or closings will be a burden to manage. We hope that your McGuffey community is a source of both support and opportunities to help.